During the colder months, living in Dyker Heights is akin to being in a winter wonderland thanks to the annual Dyker Lights festivities. That’s when residents decorate their homes with ornate holiday lighting, drawing residents from other neighborhoods — and all over the city — for a peek. One of the best hotspots during the holiday season is 11th Avenue, where the opulent mansions bedecked in twinkling lights are postcard-worthy. Commercial areas are packed with neighborhood conveniences, including old-world restaurants, meat packers, bustling delis, parks and schools. A largely private enclave, Dyker Heights evokes an air of community: it’s serene and peaceful, and the drive to Manhattan is just under an hour. Dyker Heights real estate options range from handsome brick row houses to grand mansions. It’s the latter that make up the area of the neighborhood that’s perched on a slightly higher expanse of land along the Dyker Beach Golf Course. The homes are ornate, with Mediterranean-style architecture, spacious yards and imposing lawn statues and waterfalls. Many have multiple garages and some feature pools. Restored historic properties are dotted throughout the neighborhood, some of which date back to the early 20th century. 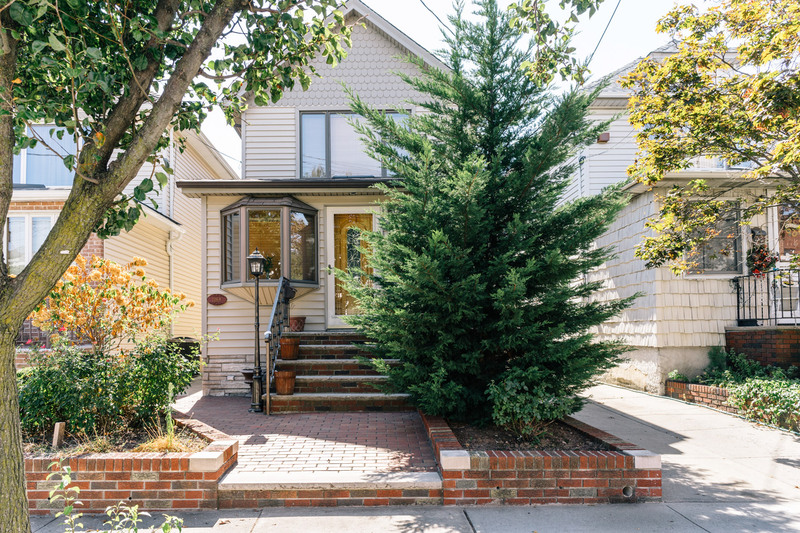 There are also many single-family homes and single-room co-ops, particularly in the leafy Dyker Park area. Dyker Heights was originally a Dutch settlement composed primarily of woodland. Procured by Anthony Jansen van Salee in the 17th century, it was used mainly for farming. In those early days, it was a part of New Utrecht, which would eventually become Brooklyn. The area remained a farming community through the early 19th century, until the arrival of the subway under 4th Avenue and above New Utrecht Avenue. With the new transportation links in place, the area attracted more immigrants, primarily from Italy. It was in the 1890s that Walter L. Johnson developed Dyker Heights as an intended upscale housing development. Developers constructed row upon row of high-end homes that appealed to the wealthy, and it was given its name in honor of Dyker Beach and Dyker Park, which were near the new homes. Come to La Sorrentina Restaurant for authentic Italian cuisine that tastes like grandma’s cooking. Since the 80s, the eatery’s chefs have cooked up some of Brooklyn’s best steak and seafood dishes. Colandrea New Corner opened in 1936 and is one of the largest old restaurants in the borough. Featuring a menu of Sicilian and Italian delicacies, it’s known for its gooey mozzarella dishes, endless pasta menu and oversized meatballs. Another favorite, Chef Andrea Italian Ristorante, features a galley-like dining room and is helmed by famed chef Andrea DiGregorio. Since 2004, Meze has served some of the most renowned Greek fare in the area. Its dessert menu is especially popular, with traditional favorites like galaktoboureko and baklava sharing space with creamy coffee and iced tea. Pizza lovers flock to Annabelle’s Pastaria for specialty pies, with toppings ranging from ham and cheese to grilled vegetables. For desserts, nothing tops family-owned Aunt Butchie’s Desserts, whose specialties include spumoni and a selection of flavored cheesecakes. Dyker Beach Park is one of the neighborhood’s main attractions. It’s popular in particular for Dyker Heights Golf Course, and it’s one of only two parks in the borough to offer golf. In addition, there are baseball, football and soccer fields, plus courts for basketball, bocce, handball and tennis. The Dyker Library was founded in 1974 and has been an area institution ever since. It’s home to plenty of family-friendly events, and also hosts book discussion groups and a yearly concert sponsored by Carnegie Hall. The holiday season is truly the best time for a visit to Dyker Heights. The brilliant Christmas spectacle is a mesmerizing display of vivid colors and lights. You’ll spot everything from oversized Santa Claus statues and nutcrackers, to gilded snowflakes and rooftops covered in twinkling shades of red and green. Paint and sip with friends at Pinot’s Palette, a stylish studio where the main goal is to have fun while creating expressive paintings, all while enjoying a drink or two. The studio holds differently themed events throughout the week. For a few drinks, stop by Indigo Murphy’s, where the luck of the Irish is with you from the moment you step inside. Blue spotlighting, exposed brick walls and a retro wood-paneled ceiling lend the place a chic yet relaxed vibe, while jukeboxes, sports memorabilia and flat-screen TVs contribute to its energy. Cozy Boulevard Books & Café has a comfortable, low-key atmosphere, thanks to its understated design — spotlights shine on the shelves lining exposed brick walls and there’s even a quaint seating area beside a fireplace. For an impressive selection of collectibles and antiques, locals flock to E and J Boutique. Comic books, old-school video game consoles, vintage sewing machines and countless other treasures fill this quirky shop. Local fashion mavens head to Beyond Trends for updated styles at reasonable prices, from leggings and dresses to tops and skirts. Not far is MaryAnn’s Flower Shop, whose eye-catching pink and moss awning stands out on a street full of restaurants and banks. Inside, discover gorgeous floral arrangements for special occasions or just because.